WASHINGTON: Researchers have established a link between lower education and cancer mortality. The study revealed that rising rates of liver cancer deaths in the United States have largely been confined to individuals who have received less education, especially among men. The research published in the journal of ‘CANCER’ emphasised the need for enhanced efforts to address the growing burden of liver cancer in lower socioeconomic groups. “Classifying liver cancer deaths into HCV-related and HCV-unrelated groups allowed us to more thoroughly understand the recent pattern of liver cancer mortality,” said Dr Ma. 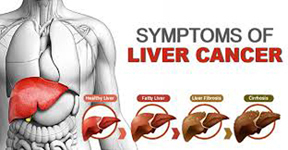 Risk factors for HCV-unrelated liver cancers include obesity, diabetes, smoking, and excessive alcohol consumption.